Dr. Gupta is a leader in cosmetic dermatology. She graduated from Miami University in 2 years with a 4.0 GPA. She received her MD from the prestigious Harvard Medical School in 1996 with honors. She completed an internship at Brown University in a combined Plastic Surgery/General Surgery program, after which she completed a fellowship in Photomedicine with Dr. Nicholas Soter at the prestigious NYU Medical Center’s dermatology department in Manhattan. She subsequently trained at the University of Washington in dermatology and returned to Cincinnati when her first son was born to be close to family. She began her practice in 2001 with two lasers. Now the practice has evolved to have over 25 technologies to service every aesthetic need in the city. She has always remained a leader in cosmetic dermatology in Ohio and nationally; she trains other physicians and has been a speaker and educator on aesthetic procedures. Her passion is witnessed via an extensive list of TV interviews, news articles and conference coverage of her work. Her husband, Dr. Manish Bhandari, whom she met at Harvard Medical School, is a leading oncologist in Cincinnati. Dr. Gupta loves spending time with her two sons and family, traveling, painting and dancing. She is also board certified in anti-aging medicine and has studied Ayurvedic medicine and continues to incorporate those disciplines into her aesthetic practice. Dr. Gupta spent most of her childhood in Brazil and Germany before moving to the US and speaks German along with Hindi. 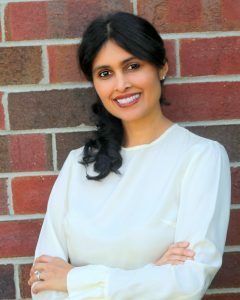 Learn more about Dr Gupta and the procedures she performs! Category: botox & fillers * Individual results may vary. I have been struggling with my body issues for quite some time. I had vaser lipo done by Dr Gupta and cannot express my satisfaction enough! She over exceeded my expectations, and I am so pleased with my results. I finally feel comfortable in my own skin again. Dr Gupta and her staff were very caring through this whole process and I would highly recommend her to everyone I know! Category: dermatology * Individual results may vary. Had my leg veins treated with really great results. The aching and burning I was getting is virtually gone. I feel like a great weight has been lifted off my legs and Im excited to show off my legs on my upcoming trip. The entire staff and Dr. Gupta are fantastic. Big thumbs up! Category: vein treatment * Individual results may vary. Category: laser treatments * Individual results may vary. Dr. Gupta completely solved my acne problems! I wouldn’t trust my face to anyone else besides Dr. Gupta! I am so glad I did this! My skin has improved a great deal. My age spots have all but disappeared and my skin looks younger and is softer. I have been very pleased with the results. The laser treatments were very effective! My skin was looking very dry with wrinkles from aging. The laser treatment improved the texture and decreased the wrinkles tremendously. I went to my 30th class reunion and people would say “You don’t have one wrinkle!” So, the laser treatments were very effective! One guest at the reunions said I looked ten years younger than any other person at the reunion.